• December 5 – The Army Corps of Engineers took over jurisdiction of surplus military airfields at Glasgow, Lewistown, and Cut Bank. • December 15 – The U.S. Sixth Army invaded Mindoro. A train wreck at Gold Creek killed one man and burned up a freight car full of cigarettes. • December 16 – A German offensive began in the Ardennes Forest. • December 22 – The U.S. 101st Airborne held Bastogne against repeated German attacks. • December 23 – Fire destroyed the McBee Motor Company garage in Billings with $100,000 damage. A man died of a heart attack while helping move belongings from an apartment adjacent to the fire. • December 24 – The Charlo butter and cheese factory was destroyed by fire with $25,000 damage. • December 26 – The Fourth Armored Division relieved the 101st Airborne at Bastogne. • December 27 – Governor Sam Ford was sworn into his second term. • December 28 – The Bachelor Officer’s Quarters at Gore Field was gutted by fire. • December 31 – Longtime Missoula mailman Louis Brutto retired after 40 years on the job. Beginning in 1918, he had walked an estimated 100,000 miles delivering the mail. • November 3 – Snow closed Yellowstone Park. Two children died in a fire at the old hotel in Turner. • November 4 – Wellington Rankin was interviewed about his campaign for Congress during a radio speech on KFBB. • November 5 – Three children died and one was seriously burned in a Kalispell fire. • November 13 – A snowstorm blanketed the state. An armed robber stole $150 from a jewelry store in Billings. • November 14 – A transport plane from Great Falls crashed at Casper, Wyoming, killing 11. Fifty cases of smallpox were reported in Hamilton. • November 16 – Two elderly Butte women were struck by a car and killed. • November 20 – The Sixth war bond campaign opened. • Nov. 21 1944 – The high school gym in Lambert, built by the WPA in 1940, was destroyed by fire. • November 23 – A 7th Ferrying Group pilot died in a Thanksgiving Day crash near Miles City. Two planes collided over East Base, seriously injuring both pilots. One was WASP Hazel Ying Lee, who later died of her burns. • November 29 – Home defense troops in British Columbia and Quebec were rumored to be mutinying over a government plan to draft them. Two freight trains collided at Roundup. 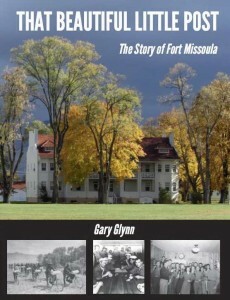 Read Gary Glynn’s interview on “That Beautiful Little Post: The Story of Fort Missoula” in the Fall 2014 issue of The Rally, the newsletter of the Friends of the Historical Museum at Fort Missoula here.